Holes : 18. Length : 6238mts. Par : 72. 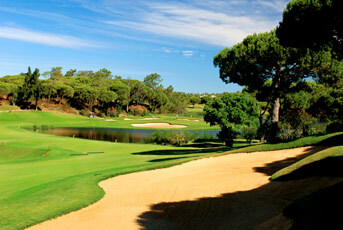 Features : The celebrated Algarve golf course in the spectacular setting of the Ria Formosa seaside and pine forest nature reserve. Facilities : Driving range, putting green, chipping green, academy, club hire, trolleys, buggies. Location : On the coast 20km West of Faro. See Map.